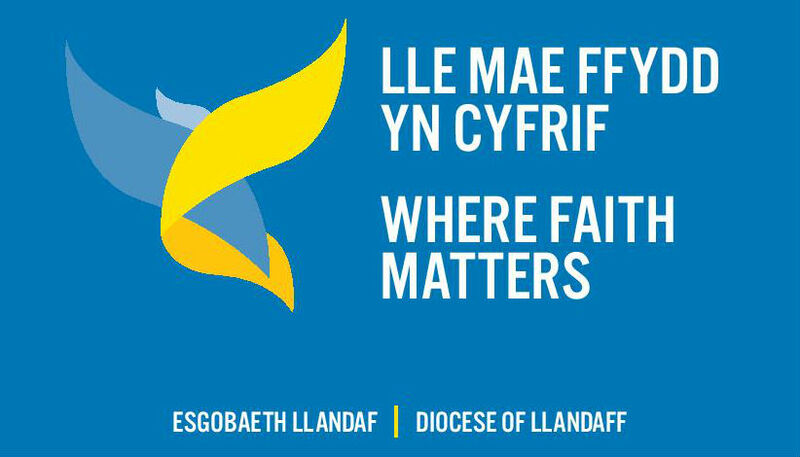 A new Vision that will guide the work of the Llandaff Diocese over the next five years is being officially unveiled during a series of Lent talks over the next four weeks. Entitled – Where Faith Matters – the Vision aims to enable us all to tell a joyful story, grow the Kingdom of God and build our capacity for good. It will be launched by Bishop June this week as she gives the first in a four-part series of Lent talks taking place throughout the diocese. Also being unveiled is the new Vision logo and prayer. Bishop June said, “These sessions will allow us to look at the Vision in more depth and to use this time of Lenten reflection to consider how its aims apply to us all whatever our context. “Our calling as Christians is to live in such a way that we tell a joyful story and bear witness to faith in Jesus Christ. We seek to do this in our parishes, and as a diocese that is strong, confident, and prayerful, engaged with the realities of life and serving others in God’s name. The Vision is the result of 18 months of work with Bishop June visiting all areas of the diocese and listening to parishes, schools and chaplaincies. Following its endorsement at Diocesan Conference last year planning groups are working on four key areas of outreach, ministry, education, children and young people plus support and communications. One area of work will be a bid to the Church in Wales who have made up to £10m available to the six dioceses under the ‘Evangelism Fund’ for projects that focus on people and growing faith. Vision Lead Sarah Rickett said, “One element of work that is taking place is a mapping of all the wonderful things that are happening across our diocese where the Church, led by its faith, is making a real difference in communities. “A truly inspiring array of outreach projects and targeted activity that run across a wide spectrum of community needs from dementia cafes to food banks, community cinemas to debt centres have been identified. These activities really help us as a Church to tell a joyful story and truly demonstrate faith in action. The Lent course will be delivered on Tuesday evenings in Morgannwg Archdeaconry, on Wednesday evenings in Llandaff Archdeaconry and on Thursday evenings in Margam Archdeaconry. The Bishop will deliver the first talk introducing the Vision with the Venerable Christopher Smith, Archdeacon of Morgannwg, delivering the second talk on ‘Telling a joyful story’. Tuesdays – March 19, 26. April 2 and 9. Wednesdays – March 20, 27. April 3 and 10. Thursdays – March 21, 28. April 4 and 11. Each evening will include worship and a Q&A session in addition to the talk. All are welcome to attend. Postcards with the Vision Prayer and bookmarks reflecting the three strategic aims of Telling a joyful story, Growing the Kingdom of God and Building our Capacity for Good will be available in churches. you call us to grow your Kingdom. gelwaist ni i dyfu dy Deyrnas. trwy Iesu Grist ein Harglwydd.